Chapter 65 of the Disabled American Veterans (DAV), which is part of a national service organization, established an office in Barnsdall on Oct. 7, 2010, to help veterans, and their families, obtain benefits. 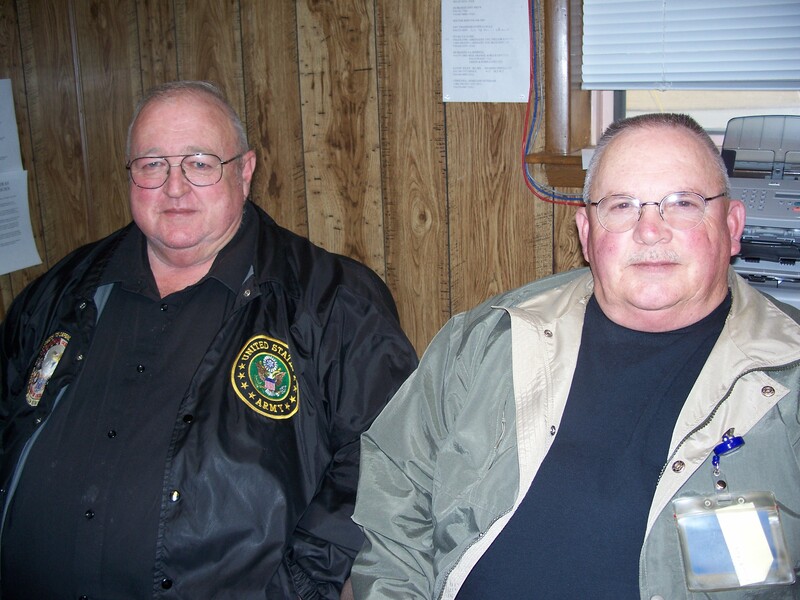 Senior Chapter Service Officer Roy Taylor and Chapter Service Office Ron Price are available to help veterans from 9 a.m. to noon on Thursdays at American Legion Post No. 227, located at 416 E. Main Street in Barnsdall. “The DAV is not affiliated with the American Legion, but uses the office space there,” Taylor said. Roy Taylor and Ron Price volunteer their time, without compensation, every Thursday to help veterans apply for benefits. “We file the paperwork for compensation for the veterans. We advise them about their medical benefits also,” Taylor said. Taylor and Price want to spread the word that they have established the Barnsdall office. “We serve three to four [people] every Thursday. Sometimes it takes 10 to 15 minutes, and other times it takes an hour and a half,” Taylor said. If a veteran needs transportation to a Veterans Administration medical facility for a doctor’s visit or extended hospital stay, they can be placed on the DAV van schedule. “If they need a ride to the doctor in Tulsa, we have a van and we set it up to take them,” Taylor said. “The van will leave early enough to take them down there. Then in turn, the van waits and brings them back that evening.” If someone needs to stay overnight, transportation can be arranged to accommodate this as well, Taylor explained. “The DAV owns the van, but the Veterans Administration runs the van,” Taylor said. Regarding veterans benefits, Taylor and Price said that they help people in a variety of ways. They can help the veteran apply for disability benefits for: Injuries sustained in military service, health care, spouses, education and more. One way Taylor and Price help, is to assist the spouses of veterans to make applications for death benefits. One spousal benefit is grave headstones. “I’ve helped two veterans’ families when veterans had passed away get the proper headstones,” Price said. “A lot of people don’t know to tell the funeral director that a spouse was a veteran,” Taylor said. Another benefit is health care for the veterans and their spouses. Taylor and Price explain to veterans all of the health benefits available. The benefits of CHAMP VA health insurance is one example. “If a veteran is 100 percent disabled, but not retirement age, the spouse can apply for CHAMP VA health insurance,” Taylor said. “Even at retirement age, a spouse can get CHAMP VA as a secondary medical insurance. Another category of benefits are educational assistance for children of 100 percent disabled veterans. A child of a 100 percent disabled veteran, who has graduated from high school and is 18 years old, can receive compensation to go to a technical school or a two- or four-year college or university, Taylor said. These are just a few of the ways Taylor and Price help veterans take advantage of all the benefits available. As a point of reference, the DAV office is on the left, just inside the American Legion Post in Barnsdall. The Osage County Nutrition Center operates a satellite lunch program from the same American Legion Post. For more information about the DAV’s services in Barnsdall call the office at 918-534-3988 on Thursdays from 9 a.m. to noon. Ron Price is available by cell phone number at 918-724-1045. Roy Taylor is available by cell phone number at 918-214-2999. ← Short Fitness Center in Pawuska has exercise equipment and a heated pool. Memberships start for as little as $20 per month! Now this article was very beneficial and enlightening to my husband. He is a veteran spending his time in the Pacific on the U.S.S. Iowa for a couple of years. He is not in bad health, but it was so informative to know of all the programs available for veterans and their families. Appreciate your effort. Peace and caring.